Hope is easy when you are certain of the outcome. But what about hope when all seems hopeless? That can be very difficult. And then God tells us to be JOYFUL as we hope. Joy comes naturally when good things we are hoping for get closer to becoming reality. It can be very difficult to remain joyful as we hope for something that is uncertain. Especially when it takes a long time for that hope to become reality. Patience is simple when we can see the end. A man I admire once told me that we can get through anything when we know there is an end. Even something hard or painful can be endured when we know that one day it will stop. When we are afflicted with physical pain, emotional distress or mental anguish and we don’t know when or if it will end most of us can easily slip into despair. Patience does not come easily. Prayer comes naturally when we know what to pray for. There are people and circumstances all around us that obviously need prayer. Sickness, struggles and sadness abound. Sending a prayer heavenward when we see someone suffering is natural. But there are times our prayers aren’t answered right away. We pray and have faith but don’t hear God’s voice or sense His direction. Being faithful as we wait for the outcome is God’s desire. While each portion of this verse can be a challenge they each come with a reward. Being joyful as we hope for something makes the waiting much easier, and the journey less stressful. Being patient in the midst of affliction allows us to see the progress even if it is slow, and provides a witness to others of how God cares for us and walks with us through our trials. Being faithful in prayer draws us closer to God so that even when the answers don’t come we are secure in His love and faithfulness. 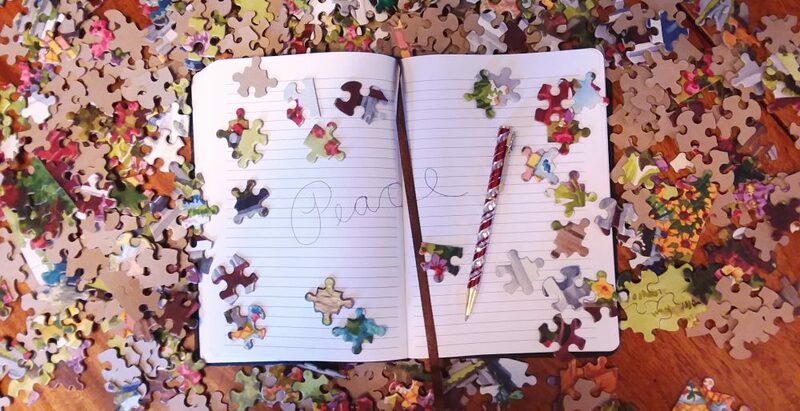 And I am certain that through obedience to this verse we will find God’s peace in the puzzle of our lives. blessings and peace to you!